Indian Railway & Catering Corporation Limited (IRTC) has offered this round trip tour package till the month of August 2011. 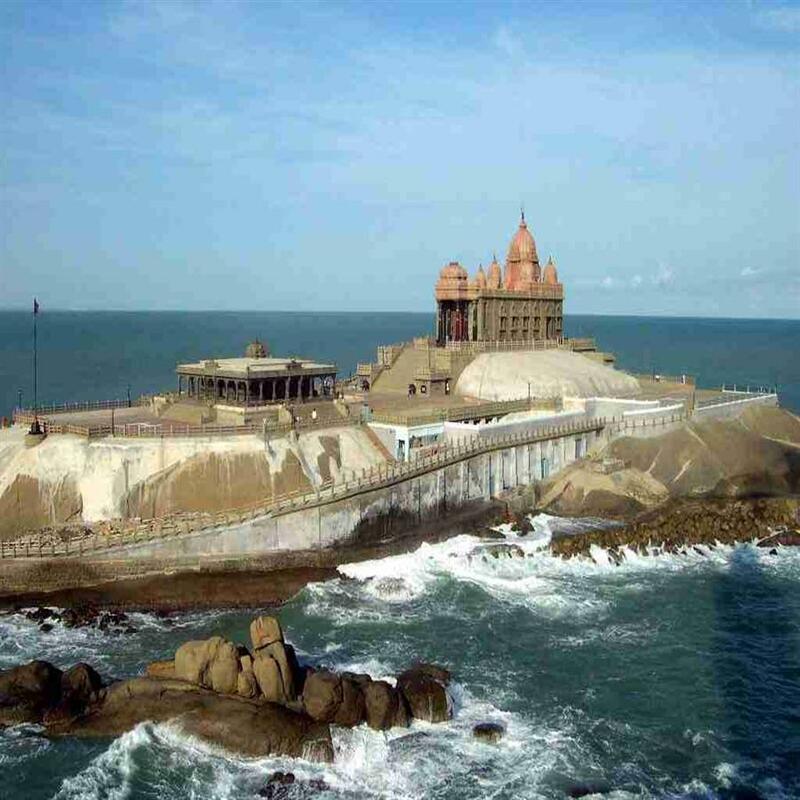 Those tourists, who wish to visit Kanyakumari, Rameswarm and Maduri in a short period of time, choose this package. The tour starts from Chennai through kanyakumai to Rameswaram to Madurai and ends in Chennai in a period of 5 days and 4 nights. The Journey begins on each Thursday from Chennai. For details, please go through the article. Kanyakumari, Rameswaram and Maduri are three important places of tourists' interest in Tamil Nadu. All these places possess the unique historical backgrounds. Kanyakumari is a place at sea shore known for famous Vivekananda rock memorial and beautiful sunrise, moonrise and sunset on sea etc. Rameswarm is famous for Rameswaram temple and from where the historical Ram Setu was supposed to be constructed to Lanka by Lord Hanuman. 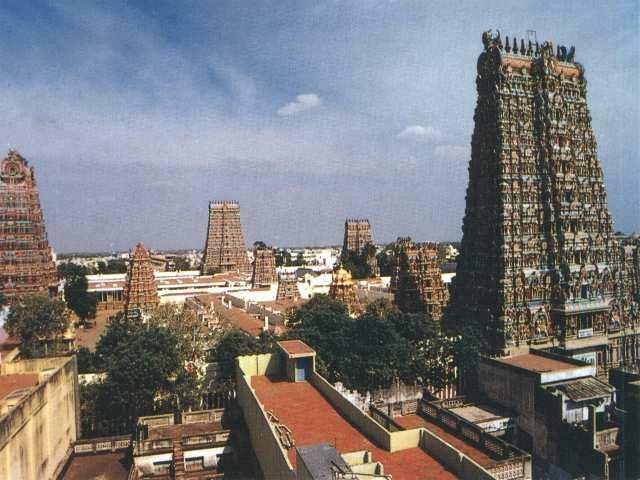 Madurai is a very old city and where situated one of the famous ancient temples of India the Meenakshi Temple. Complete the formalities for Kanyakumari Express, Train No: 2633 and board on the train. The Train departs at 17.30 hours. Have dinner and stay in aboard train for night. Arrive Kanyakumari Railway Station at 6.50 hours and move to the hotel at Kanyakumari and check in. After refreshment visit Amman Temple, Three Seas Mingle Point, Vivekananda Rock Memorial, Thiruvalluvar Statue, Mahatma Gandhi Memorial Mandapam and evening time enjoy the view of beautiful sunset. Come back and stay overnight in the hotel. Early in the morning visit the sea shore and enjoy the view of sunrise in the sea. Come back, having breakfast in the hotel and check out. Move to Rameswaram by Road. On the way visit Tiruchendur Temple. After arrival at Rameswaram, check into the hotel and visit for darshan at Rameswaram Temple. Come back and stay overnight in the hotel. Early in the morning take bath at Agni Theertham and darshan. Come back to the hotel, having breakfast and move to Madurai. On arrival at Madurai visit Pazhamudircholai Murugan Temple, Thirumalai Nayaggar Mahal and Meenakshi Amman Temple. Board on train No 2634 Kanyakumari Express at 21.50 hours from Madurai station.